The One wall kitchen and L-Shaped Kitchen are some of the most common layouts used while making kitchens for Indian Households. An uncommon layout is the Galley or Parallel Kitchen layout where the kitchen is composed of two units placed on two parallel walls of the kitchen area. 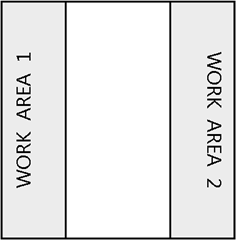 As seen in the above diagram, the entire work area is divided into two separate work zones with a passage in between them. 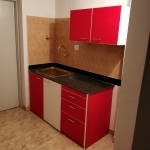 The Galley Kitchen, if designed properly, can be the best in terms of utilization of space and work efficiency, especially in apartments / homes where the kitchen area available is limited. At UNIQUE, we design Galley / Parallel Type kitchens entirely based on your specific requirements. For more information on our Galley / Parallel Type Kitchens, please contact us. We have talked about the One Wall Type Modular Kitchen earlier. 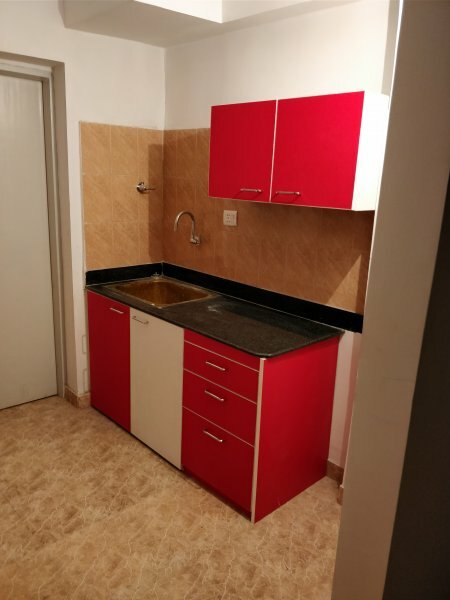 Usually, such a setup is used when the kitchen area given by the developer is very small and cannot be fitted with a large kitchen. However, it does have its own advantages. Today, we will look at one of the most popular designs used for setting up good looking modular kitchens – The L-Shaped Design. This design consists of work space on two adjoining walls at 90 degrees to each other. Usually, one side is longer than the other in length. However, this is purely based on your requirements. This design is very popular around the world and most people generally tend to opt for it as it gives a perfect balance between quality, storage space and cost. 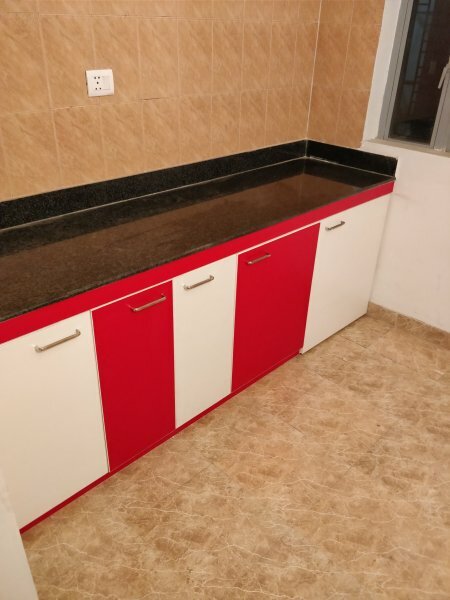 Owing to these advantages, the L-Shaped kitchen finds many takers, especially amongst the cost conscious Indian families. At UNIQUE, we pride ourselves in making beautiful & high quality L-Shaped Kitchens with the most efficient designs possible, so that the available space in your kitchen area is fully taken advantage of. 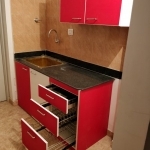 We have already discussed the many advantages of having a modular kitchen earlier. However, when people actually go to buy a modular kitchen, the whole process of making the final decision can get pretty confusing with the variety of brands and types available. Question: Which one should you take? It would be a good idea to jot down your requirements on a piece of paper first. For example, you could right down a list of items that simply have to be kept inside your kitchen and for which, provisions will have to be made by your designer / vendor. Also note down any other items for which you would like space to be created in your modular kitchen. This sounds like a small step but is very helpful while planning out your kitchen. CUSTOMIZABILITY is the the most important factor to be considered while purchasing your modular kitchen. Does the brand allow you to customize your kitchen according to your requirements of space and budget? If not, you’re definitely better of looking somewhere else, no matter what the brand is. QUALITY. Does the kitchen on display look and “feel” good? Is it made of waterproof materials? Do not only consider how the kitchen looks from outside. Bright, flashy and decorative finishes can be given by any brand. Open the shutters and pullout units and see what is there on the inside. How many stainless steel items are being provided? What is the grade of Stainless Steel used? 202 and 304 grade are considered good. PRICE. Are they being able to offer you something that is within your budget? How many items are they being able to include from the list that you have made? The colour and design of you kitchen should ideally match with your home decor. Can they change the colour and design of a kitchen on display that you like, to reasonably match your home? If their answer seems negative, then they probably will not be able to help you out with many other requirements on your list. 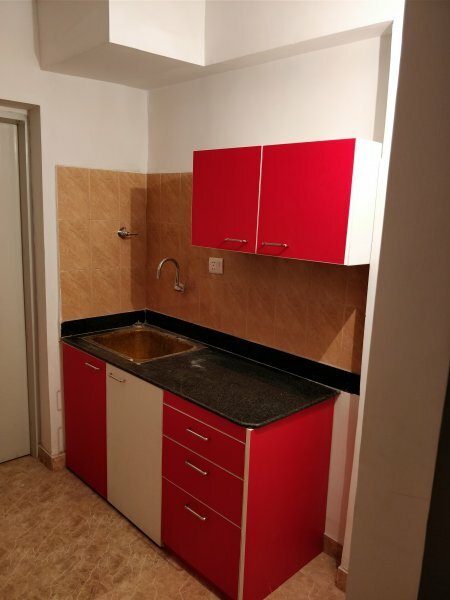 Are they including a stainless steel sink with the kitchen? Is the store representative knowledgeable and confident about the modular kitchen on display? Or is he simply reading out jargon from the brochure? How many shutter designs and types are available with them? Are they able to provide you with high quality membrane finished shutters (We will be posting an article on membrane shutters very soon)? Are high gloss laminate finishes available with them? Are you satisfied with the amount of storage they are being able to create in your kitchen area? A one wall kitchen type – as the name suggests, has the complete kitchen unit installed on only one side (i.e one wall) of the room. 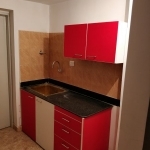 One wall kitchens are used typically in apartments where the kitchen area given by the developer is very small. Yet, with a properly designed modular kitchen setup, we can create an ample amount of storage in the small one wall kitchen. 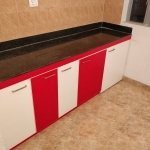 To make sure that all your appliances (microwave oven, stove, sink, refrigerator etc) fit into this setup, it is essential that the width of the kitchen is about 8-9 feet. However, no matter how well it is planned and designed, a one wall kitchen can never match up (in terms of storage available and work efficiency) with other kitchen types such as the highly preferred L-Shaped kitchens or U-Shaped kitchens. 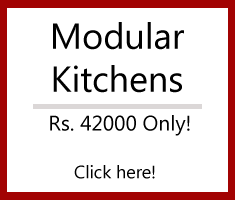 A modular kitchen is one of the most sought after items today. 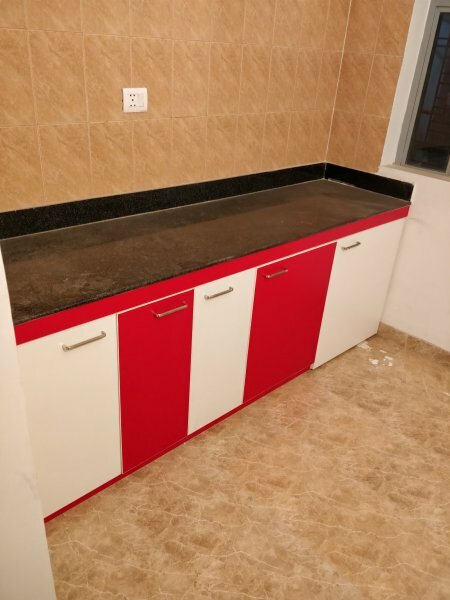 In fact, it has now become a necessity to have a modular kitchen that is well planned for efficient space utilization and yet manages to look modern and chic. A modular kitchen has a sleek, clean and trendy look. Usually, it involves the use of straight line cuts and designs with a variety of modern contemporary finishes. You can choose from a plethora of finishes (colours or patterns) to make your modular kitchen stand out from the rest. If your modular kitchen is well designed and planned for proper space management, you will find that a lot of storage can be created even in the smallest of kitchen areas. 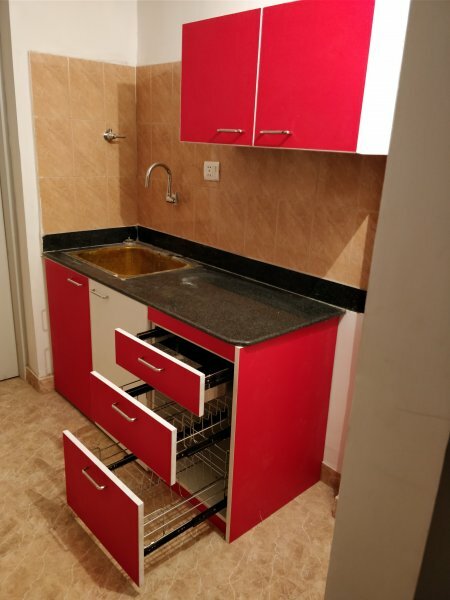 Repairing work can be easily done on a modular kitchen. If required, individual components of a modular kitchen can even be replaced, without affecting the rest of the kitchen components. Installation of a modular kitchen does not take much time or effort. Cleaning the modular kitchen requires less effort. The durability of a modular kitchen made out of high quality materials can be very high. 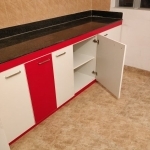 At UNIQUE, we manufacture modular kitchens keeping in mind the needs of the Indian user. We make sure that materials used are waterproof. 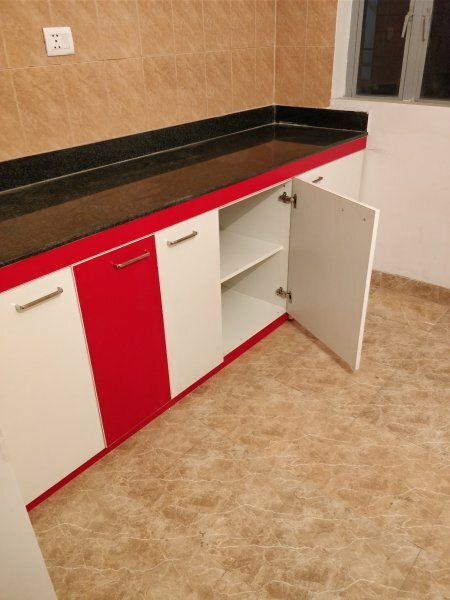 As edible oil is used on a daily basis for cooking Indian food, it is also important that the modular kitchen is able to cope up with occasional oil spills. What is a Modular Kitchen? 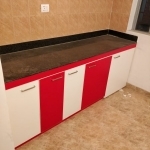 Modular kitchen normally constitutes wooden cabinets, counter tops, internal accessories, electro eomestic gadgets like chimney, hob, built-in-oven, sink with or without drain board and in some cases a refrigerator, dishwasher or other gadgets.